Home » The Japanese Light Aircraf Carriers CVL Zuiho and Shoho. The Japanese Light Aircraf Carriers CVL Zuiho and Shoho. This CVL Zuiho led the Carrier Division 3 第三航空戦隊, Dai San Kōkū Sentai, composed of the CVL Zuiho and CVL Shoho. The CVL shoho illustrated in Hasegawa model kit box. 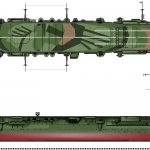 The CVL Zuiho illustrated in Hasegawa model kit box. 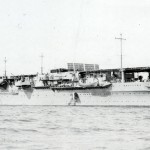 A close-up of the Shoho Aircraft Carrier. 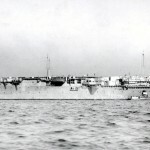 An impressive camo of the deck of the Zuiho carrier in 1944.